Careers - ITR Concession Co. LLC. ITR Concession Company LLC’s (ITRCC) success starts with its talented staff. If you want to be part of a hard-working team dedicated to delivering outstanding customer service focused on safety, ITRCC would be interested in learning more about your qualifications and skills. ITRCC is an equal opportunity employer and affords equal opportunity to all applicants for all positions without regard to race, color, religion, gender, national origin, ancestry, age, veteran status, sexual orientation, marital status, military discharge status, source of income, or any other status protected under local, state or federal laws. 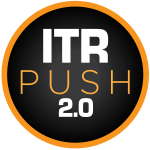 © 2019 ITR Concession Co. LLC.